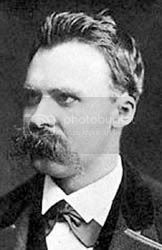 Residency Notes » Blog Archive » Take That Nietzsche! Morality is an evolutionary advantage and built in. Damage to the prefrontal cortex can change morality in individuals. Damage to an area of the brain behind the forehead, inches behind the eyes, transforms the way people make moral judgments in life-or-death situations, scientists are reporting today. In a new study, people with this rare injury expressed increased willingness to kill or harm another person if doing so would save others’ lives. The moral changes only come into play when there’s a definitive utilitarian choice. Those with ventromedial injuries were about twice as likely as the other participants to say they would push someone in front of the train (if that was the only option), or to poison someone with AIDS who was bent on infecting others, or suffocate a baby whose crying would reveal to enemy soldiers where the subject and family and friends were hiding. For other moral hypotheticals poised to them their decisions matched the non-injured groups. Here’s the complete study in Nature (subscription) or the abstract.